Custom post types are a big part of what moved WordPress from a blogging platform to a full-fledged content management system that can be used to build any type of website. If you’re not familiar, custom post types are a lot like a regular WordPress post, only you can use them to store whatever type of content you want (i.e. they’re not just for blog posts). For example, WooCommerce products are custom post types. Or the actual event listings in an event calendar plugin are also a custom post type. But custom post types aren’t just beneficial in plugins – you can also create your own custom post types to help you display different types of information on your site. 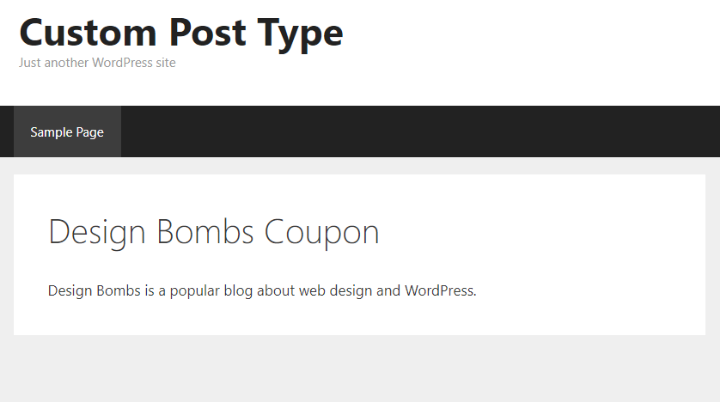 For example, the Design Bombs deal section is powered by a custom post type for easy organization/customization. In this post, I’ll show you an easy, code-free way to both create and display custom post types on your WordPress site. To make it concrete, I’m going to build a coupon custom post type based roughly on the aforementioned deals section. But you’ll be able to apply the same principles to any type of content on your own site. If you search the WordPress.org plugin directory, you’ll find tons of plugins that can help you easily create a custom post type. While they can help you create a custom post type, they don’t necessarily help you display the content in your custom post type on the front-end of your site. That’s why I recommend the Pods plugin. It’s well supported, has tons of documentation, and has the benefit of being free! Another good option is the premium Toolset plugin, but I’m going to stick with Pods for this tutorial because I want to keep everything 100% free. 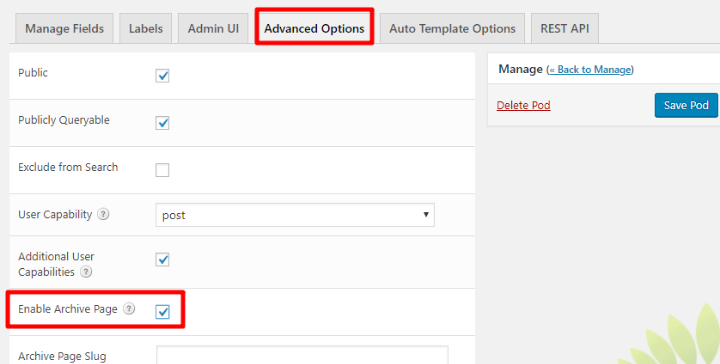 Once you have the Pods plugin installed and activated, go to Pods Admin → Add New in your WordPress dashboard. Right now, if you went to Coupons → Add New, you’d basically see the normal WordPress editor. But we want to use this custom post type to display something specific – a “deal”. Not just a regular WordPress post. Once you’re done, make sure to click Save Pod. Wait! Where did our custom fields go? 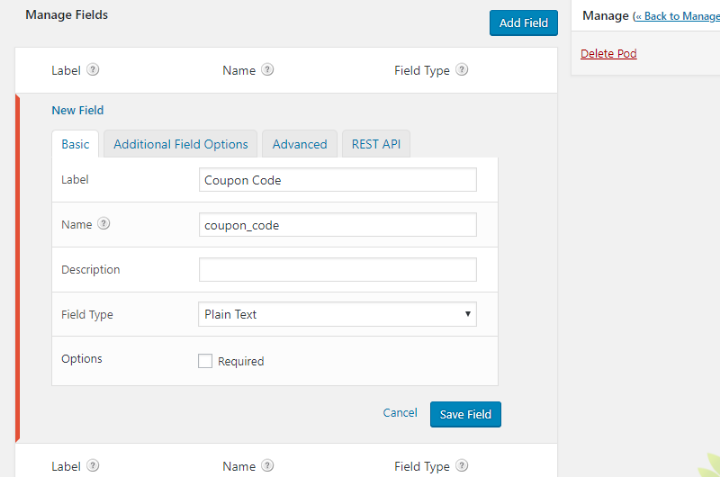 WordPress will output the regular WordPress editor fields for your custom post type. But it won’t output the custom fields by default. Most custom post types plugins stop here and make you do the rest using PHP. 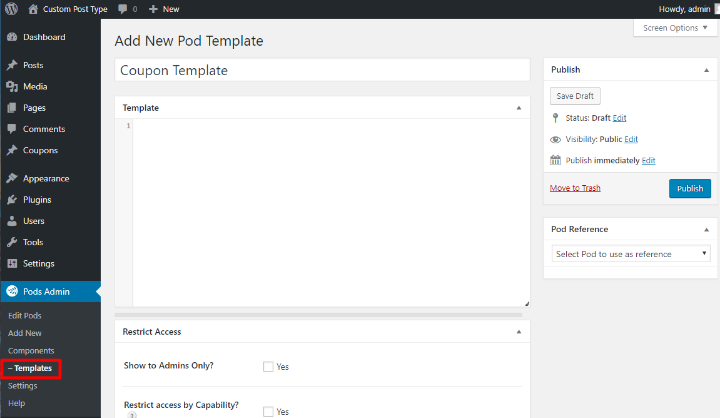 But Pods actually gives you an easy way to get your custom fields to display on the frontend of your site. Pods includes a helpful feature that lets you create a custom template for your custom post type using regular HTML and magic tags, rather than requiring you to create a template using PHP. You can use regular HTML/CSS to format your page. 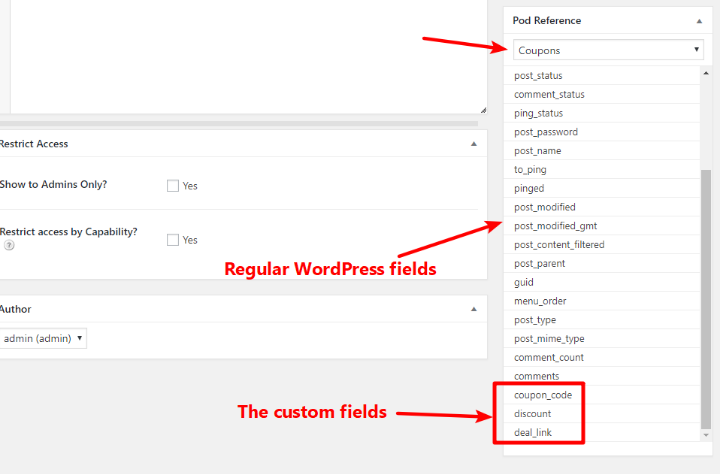 You can insert content from the regular WordPress fields and/or custom fields by choosing your custom post type from the Pod Reference drop-down. These are called magic tags. But it’s not exactly looking great design wise, right? Unfortunately, you do need at least some basic HTML and CSS to do this part well. But the big thing is that Pods’ magic tags completely eliminate PHP from the equation, which really does make the process a lot simpler than the alternatives. To make Pods actually use the template that you just created, you’ll need to make one more quick change (I already made this so that I could take the example screenshots above). 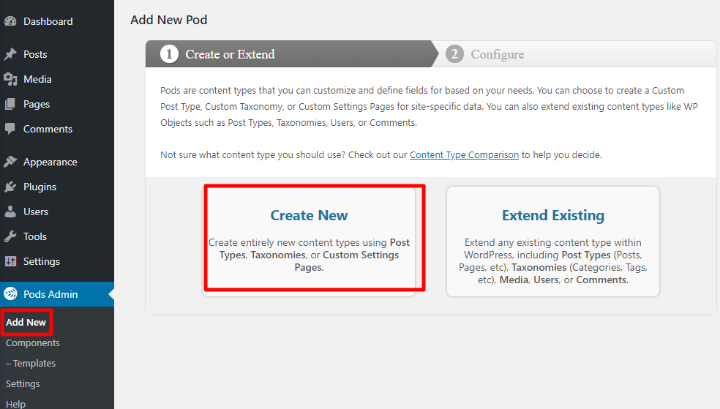 Edit your custom post type by going to Pods Admin → Edit Pods. 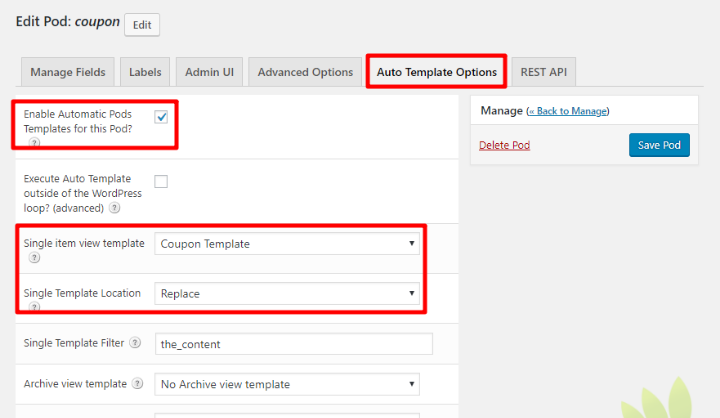 If you want to create an archive page to list all of your different coupons (rather than just the page to list a single coupon like I showed you above), you can create a new template to control what information displays on the archive page. 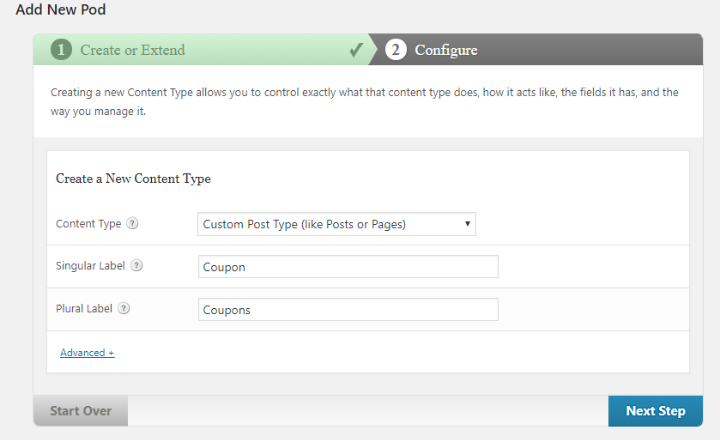 Then, follow a similar process to force your custom post type to use that in the Auto Template Options. 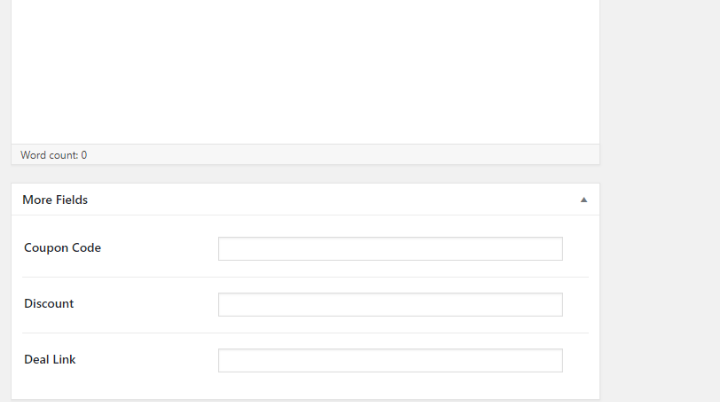 If you want to add a taxonomy to your custom post type (like a tag or a category), you can use Pods to create a new taxonomy by going to Add New and selecting Custom Taxonomy from the drop-down. Custom post types are one of those things that open up a whole new world for building sites with WordPress. Once you get the hang of them, you’ll no longer be limited by the constrained world of posts and pages. There’s still a whole lot more that you can learn – covering everything would take a whole series of posts. But for now, you should have a solid grasp of what it takes to create your own custom post type and actually display it on the frontend of your site. Have fun building something awesome! And to take things even further, you might want to check out our other posts on how to use ACF to create a portfolio site, or how to start learning WordPress development. Nice tutorial. How to delete or hide the title generated in the pod custom post? Well written article on pods and cpt’s. I have a question, can pods use a cpt type that is created from a plugin? I have a church plugin (sermons) that is a cpt. But the single template looks bad and I want to change it? Is this possible with Pods?